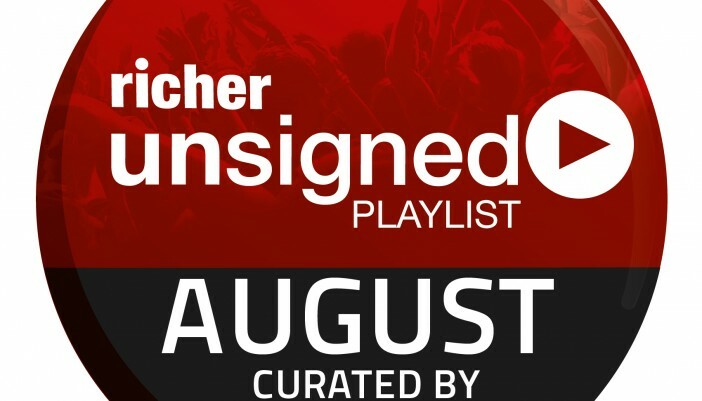 We’re excited to share with you our best of August playlist as written by our friends at The Unsigned Guide. Since 2003 The Unsigned Guide has been an essential resource for aspiring bands and artists. Their comprehensive directory of the UK music industry contains contacts for everything you could need to get your music career progressing in the right direction; record labels, radio stations, gig promoters, artist managers, venues, festivals, music publishing, producers, studios and much more. In 2012 The Unsigned Guide launched their monthly Spotlight blog to champion the exceptional music they were constantly being sent by their members and since then the blog has featured some fantastic talent. Their Richer Unsigned playlist will highlight their 10 favourite tracks which have come through on the Spotlight blog during 2015 to date.